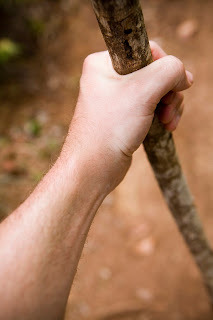 If Jesus were giving his instructions today to his disciples, instructions like take nothing for the journey but a walking stick—no food, no sack, no money in your belts. Do you think he would include our smart phones on the list? How many of us could imagine setting out for even one day taking nothing with us: No food - no purse - or wallet - no change of clothes - no phone - no money – no check book or credit cards. Can you imagine it? Can you imagine the trust those disciples had that God would provide. It was incredible! They left Jesus that day taking nothing with them. Could we set out for just one day taking nothing with us? Not me! You have to believe he was telling them, and he is telling us - "Don’t let possessions so clutter your life that they get in the way of doing what is really important to God - sharing your faith with others." Every once in a while you see an example of someone who seems to have their priorities right. For some odd reason this message made me think of Manute Bol. Now you have to be a serious sports fan to remember Manute Bol. 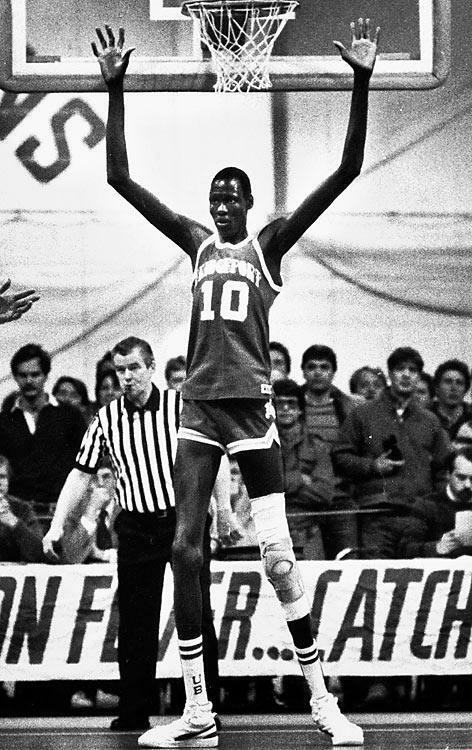 Manute was a Sudanese immigrant who just happened to be 7 feet 7 inches tall. 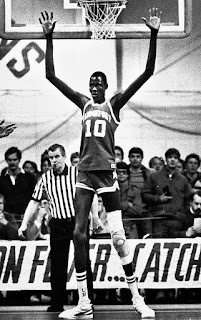 Manute was recruited to play professional basketball in the United States in the 80s. In many ways, Manute’s trust in God and sense he had a mission in the world embodies the message Jesus gave to the disciples that day. Manute gave away his entire NBA fortune to Sudanese charities and trusted that God would provide for his needs. While most pro athletes go broke on cars, jewelry and groupies; Manute Bol went broke building hospitals. I think that was Jesus’ point. I think Manute “got it.” He trusted God to provide, and then spent his life sharing what he had with others. He simply trusted that God would make it work. Like the apostles, and like Manute, we are all called to be missionaries in some way. Some years ago, a number of young Christians were attending an international summer camp. They came from many nations around the world. 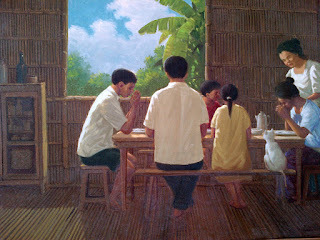 One project assigned them was to come up with effective ways to preach the Gospel in our modern world. After the young people talked about using television, radio, the Internet and rock concerts an African girl said something that touched the heart of everyone. She said: When Christians in my country think a pagan village is ready for Christianity they don’t send books or missionaries. They send a good Christian family. And the example of the family converts the village. I think that’s what the Gospel is saying today. Have such radical trust in God - in me - that it changes the people you come in contact with. Like this young African woman’s example God wants us in our homes, in our work places and in our communities to preach the Gospel by living a life that trusts God will provide what we need. 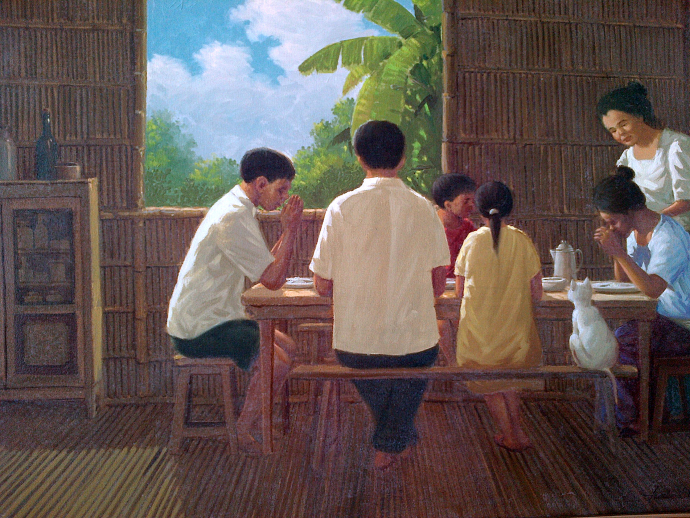 The way we can be missionaries to our world is by our presence and by our example more than by our words. To the eager ears of trusting youth. Saying we are called to evangelize and be a missionary scares us a bit. But it shouldn’t. We are all called to evangelize, to share our faith with others; we are all called to missionary work in our homes and families, our social groups, at work and in our neighborhoods. Not necessarily with words so much as with our actions, with our example, with the way we display our trust in God to provide. St. Francis Assisi once said: "Preach the Gospel and sometimes use words." Let’s vow today to be that family, that person, that converts our village by our example.